I was reading through the AAJ, and I came across a report from April this year when somebody died due to an anchor failure. 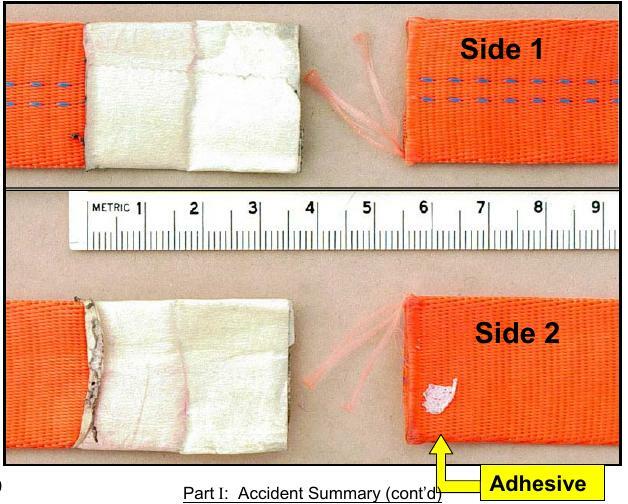 The webbing was joined with some masking tape at the ends, instead of knotted. It is — or should be — fairly common knowledge that webbing, unlike rope, comes packaged in this manner. Has anyone ever seen this? I've been climbing a fair bit of time but I've never seen webbing come pre-packaged with the ends taped. It would be great if anyone can shed some light on where this practice happens, and why, bonus points if you can share a picture of what it looks like too. 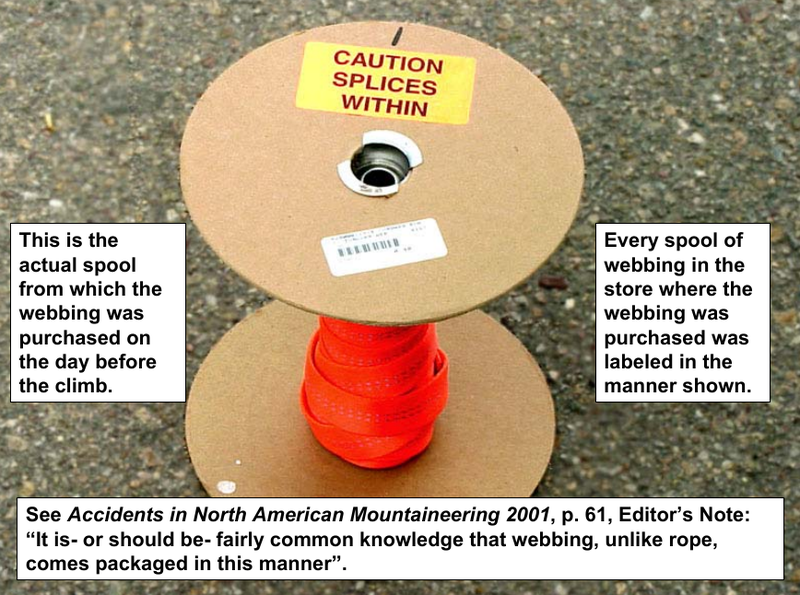 Apparently it is common practice to wind lengths of webbing onto spools and join lengths together (or "splice") with tape of some sort! Not the answer you're looking for? Browse other questions tagged gear rock-climbing or ask your own question. What is a splice in spools of tubular webbing? Would tied strips of webbing have similar strength to a climbing rope? Is a single strand of webbing unacceptable for climbing anchors? Why static rope rather than webbing for toprope anchors?